ConceptDraw has numerous furniture symbols for drawing building plans. 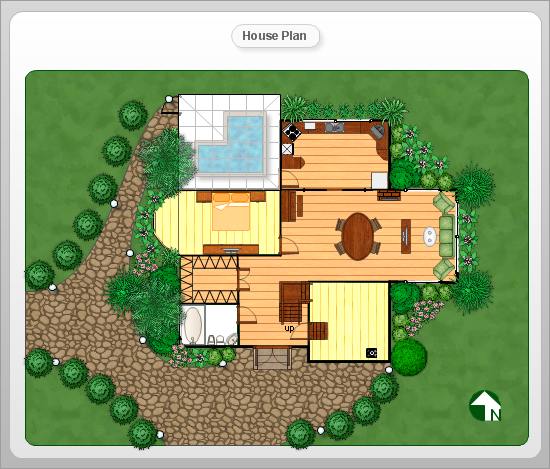 You can use many of built-in templates and examples of our House Plan Software. Start with the exact template you need then customize to fit your needs with furniture symbols and you will find expected result in minutes. ConceptDraw Building Plans solution provides libraries of shapes with furniture symbols for planning furniture layouts for office and home, house and garden, building and patio, landscape and outdoor.